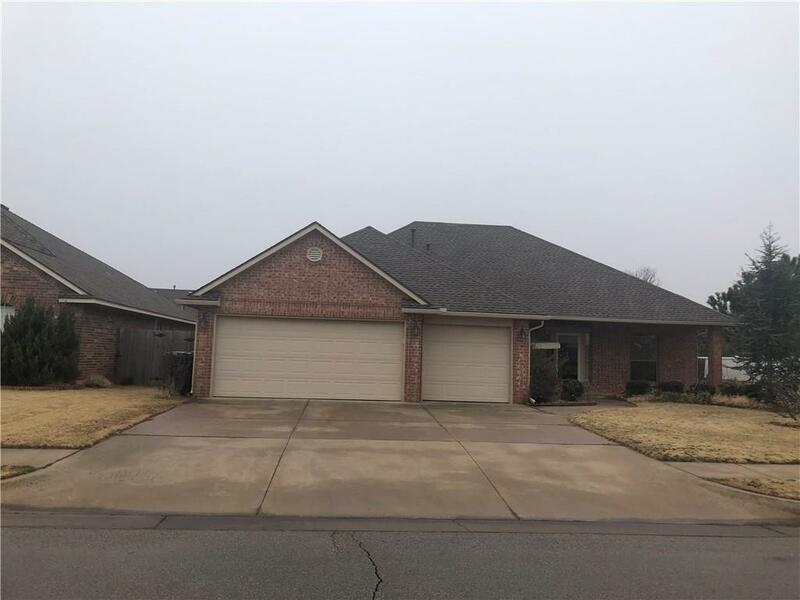 We invite you to visit this beautiful move-in ready home that is located on a large corner lot in a very desirable addition. This home will not disappoint. The living room features real wood flooring. The sellers are providing a $1500 carpet allowance to ensure you have the new color carpet of your choice in the bedrooms. The backyard is spacious and well manicured. The kids will enjoy the award winning Piedmont schools. The study/office adds to the value and the open kitchen allows you to interact with the guest as you prepare their meals. All the bedrooms offer a great amount of space and closets. The home has an in ground storm shelter located in the third car garage floor.